While the Gold Coast is enjoying its take as Hollywood filmmakers’ fave shoot location, other states are greatly becoming powerhouse entrepreneurial hubs. Take a look at the three biggest states NSW, VIC and QLD have to offer to the business world. This clearly explains why many people come here to live and work. Knowledge-based services, ICT, and creative services are the top industry outputs in New South Wales which mostly cover financial and insurance services, professional, scientific and technical services; also includes information media and telecommunications, tourism, and food services and the arts. NSW’s diverse economy highlights the state as Australia’s largest and strongest contributor in the services industry. Melbourne prides itself as Australia’s technology hub and home to over 8,000 companies in the ICT industry, including big players like IBM, Microsoft, and Intel. VIC’s ICT industry comprises Software Development, Cloud Technology, Digital Games, Mobility Technology, Social Networks and Data Analytics. It generates A$34 billion revenue annually and boosting employment at 91,300 direct hires. This brood of ICT talents are graduates from Melbourne’s world-class universities and advanced technical colleges, thus making Melbourne as the leading education destination for international students, and branded as a “knowledge city”. Queensland key industries are Logistics & Distribution, Innovative Manufacturing, Energy & Resources, Food & Agribusiness, Hotel & Tourism Infrastructure, and Innovation & Technology. It’s capital city, Brisbane, is one of Australia’s most livable cities, and sees a A$217 billion economy by the year 2031 as its thriving economy firmly hold the title of being among Asia Pacific Cities For Foreign Direct Investment Strategy. Australia’s forefront states are boosting with entrepreneurial imperium in the Asia Pacific. Below are tips that will help them maximize the best-fit marketing tools in generating more leads for their business. Produce content that will educate your customers, answer their queries and help them come up with smart decisions especially on a purchase. Exchange contents with email addresses from your web visitors. Run an email marketing campaign as this will build a data list of subscribers who have opted in to know more about your products and services. Use on-site or downloadable forms or query boxes to draw potential leads. Value Relations by investing proper training of the employees to ensure individual growth, thus resulting in teamwork and business growth. Warehouse Management. Aim to develop warehouse inventory, maximize storage capacity and must be run by well-trained warehouse staff. Measure & Improvise. Integrate measurement, analysis, and feedback to determine the success and failure of the strategy. 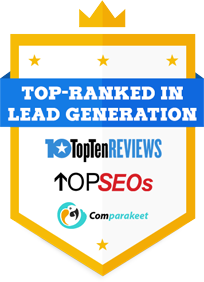 Lead generation encapsulates different tools and strategies readily available in the market, but finding the right tactic for your industry takes a process to determine success and failure. Australia may be the best location for some Hollywood blockbusters like The Star Wars but The Caribbean may just be perfect for your summer themed pic.